Living on the Gulf where there’s great fishing, shopping, and boating is everybody’s dream. And if you have orders to Hurlburt Field, that dream can be your reality! Hurlburt Field is located in the panhandle of Florida, and is a 30-minute drive to Santa Rosa Island, just 30 minutes west of Destin, and an hour east of Pensacola Beach. If you’re stationed at Hurlburt, you live where thousands of families choose to vacation each year. Only for you, this vacation doesn’t involve a couple weeks' stay at a hotel, but instead a few years' stay in your perfect home. Let's take a tour of four gorgeous homes for sale near Hurlburt. Mary Esther, Florida - This home is no longer listed. See other Hurlburt Field MilitaryByOwner listings. This home, less than five years old, is located just a few miles east of Hurlburt Field in the little town of Mary Esther, Florida. 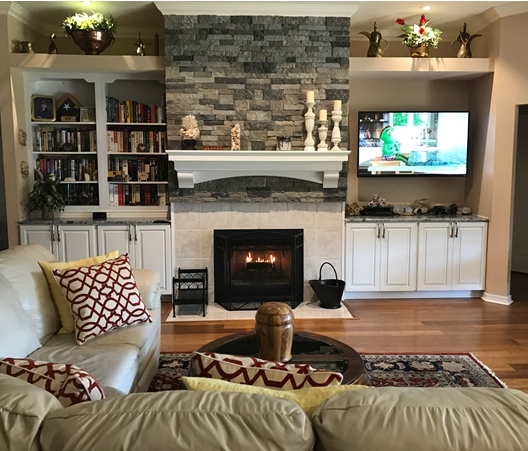 Not only does this home feature granite counter tops, stainless steel appliances, and tile flooring, but it also has a beautiful outdoor patio area and sound system. Not to mention the community dock and boat slip less than a minute walk from your doorstep! This home is perfect if you are looking to enjoy the true Florida culture during your time at Hurlburt Field. Navarre, Florida: This home is no longer listed. See other Hurlburt Field MilitaryByOwner listings. 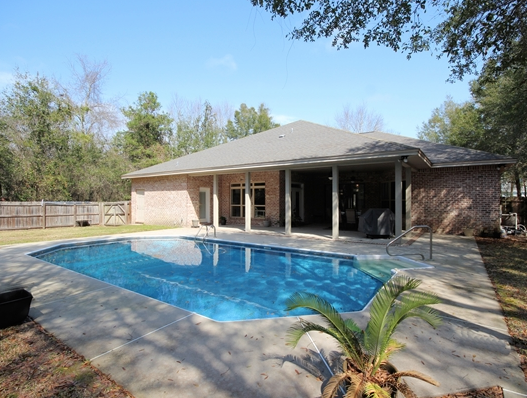 This beautiful 3-bedroom, 3-bathroom property is located in Navarre, just a few miles west of Hurlburt Field. 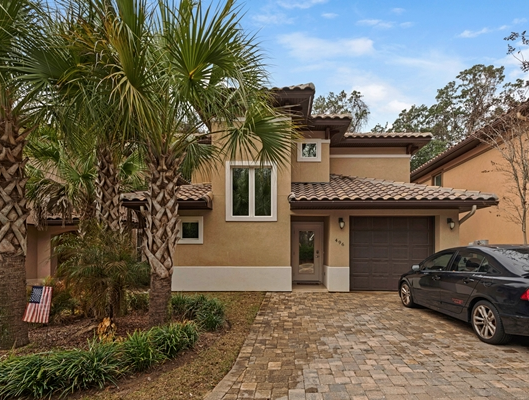 This home, situated in the Robledal Estates waterfront community, features hardwood flooring, granite countertops, a huge master suite (including a garden tub), a beautiful outdoor living area, and an inground pool. Beyond the gorgeous amenities of this property, the community grants you access to a private membership which allows you waterfront access to the boat ramp, beach, dog park, and more for a one-time fee. This beautiful corner lot home is also located in Navarre just west of Hurlburt Field in Hidden Creek, and is just two blocks from the incredible Hidden Creek golf course. Beyond its location, the gorgeous features like hardwood floors, granite countertops, stainless steel appliances, plantation shutters, fireplace, and built-ins make this cozy home stand out. Fort Walton Beach, Florida - This home is no longer listed. See other Hurlburt Field MilitaryByOwner listings. This 5-bedroom, 3.5-bathroom property is located in the Palm Harbor subdivision in Fort Walton Beach, which makes for a short commute to base. This tropical styled home is designed for outdoor living with its upstairs balconies and downstairs patio with a fire pit, pergola, privacy fence, and Key West shutters. The home also features stainless steel appliances, granite countertops, whirlpool tub, large walk-in closets, and large spaces for entertaining throughout. 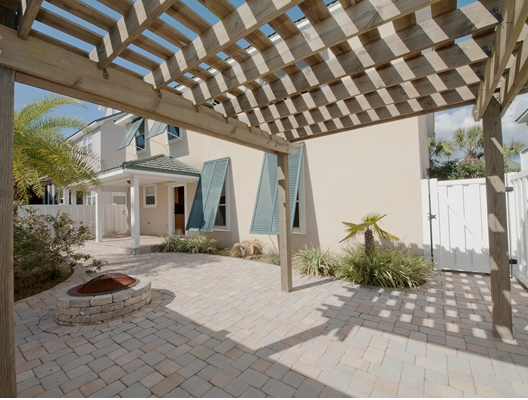 This home is perfect for your time in Florida if you want to bring the beach life home. Good luck with your PCS to Hurlburt Field this PCS season and happy househunting! For rental properties in this area, check out additional listings on MilitaryByOwner.